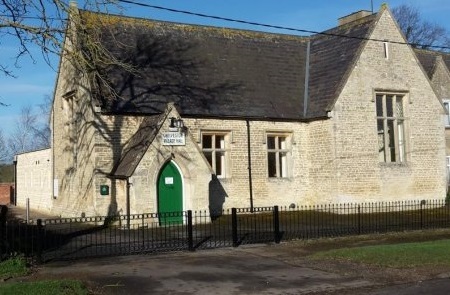 Chelveston Village Hall is available for hire by local societies for their regular meetings or occasional events. Individuals can also hire the Village Hall for family occasions or children's parties. It is ideal as a rehearsal space for theatre or dance groups with a licence for the playing of live or recorded music. There is a 5m wide screen and projection system for films and presentations. A high speed internet connection is also available. The hall can be used in a variety of layouts, seating up to 100 in theatre style and approximately 72 for a sit down occasion. Full kitchen facilities are available with a double range cooker and commercial dishwasher. There is a terrace and bench seating in the rear garden area. Behind the Village Hall garden, accessed through a gate, there is an amenity paddock which can be used for ball games, camping or for a large marquee. A car park adjacent to the Village Hall has off road parking for 40 cars. We have now completed our major refurbishment. All facilities are now fully operational. The Hall hosts Ruby's Ballet Academy which provides a variety of styles of dance for all ages from babes in arms to adults.